The Enameled and Tempered glass adopts the silkscreen technology for impressing the high temperature ceramic on the surface of the glass, through the process of baking, solidifying, and then tempering, making the ceramic and the glass combine to a whole one. 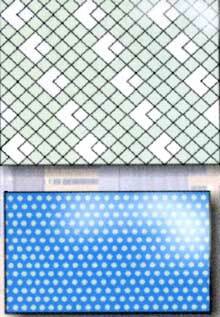 There can be complex pattern with various and fadeless color on the enameled and tempered glass. The ceramic after baking does not drop and has great ability of anti-acid and anti-alkali. The enameled and tempered glass is the tempered glass with great ability of hot impact proof, which is widely applied in the outside-building decoration, and is convenient to control the daylight. It can also be used in the decorating of indoor ceiling, stage floor, partition and so on. There are more choices when it is combined with other kinds of glass. Glaze layer color stability, not change, not fade. To be used in internal and External Building Decoration. To be used in Cars, trains window panes. 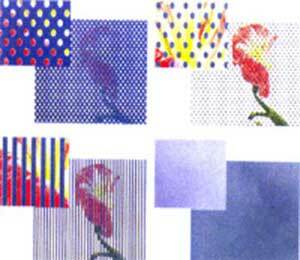 To be used in heat bending, hollow, laminated glass.